This beautiful shair expresses an old truth that many journalists wrote about anew this week, as protesting farmers congregated on Delhi: the gap between what farmers get for their produce, and what the consumer pays. One report revealed that a farmer sold tomatoes at Rs 2 per kg, and consumers bought them for Rs 20. Too little; and too much. 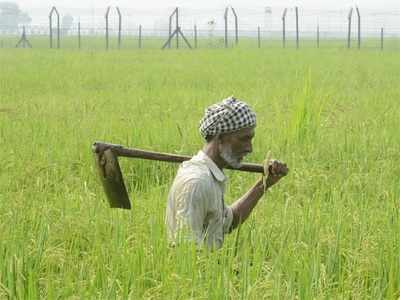 Both the farmers and consumers were getting killed by this, just like in the poem. Of the two, Pakistan has a sordid record of double-timing the United States and undermining US national security interests in Afghanistan despite US beatification of Pakistan by past US Presidents as ‘Major Non-NATO Ally’ and ‘An Enduring Ally in the US Global War on Terrorism’ Pakistan’s proxy war in Afghanistan against the United States through the Afghan Taliban stands exhaustively recorded. The foregoing stands repetitively reflected in my writings for the last eighteen years. The detention in Canada of Meng Wanzhou, Huawei’s CFO and the daughter of its founder, is further inflaming tensions between the US and China. Her arrest is linked to a US extradition request on undisclosed charges, but China says it’s a human rights violation and is demanding her swift release. It is hard to overstate the symbolism and significance of the arrest of Meng Wangzhou, Huawei's chief financial officer and daughter of its founder. Huawei is the crown jewel of Chinese tech and Ms Meng is effectively its princess. 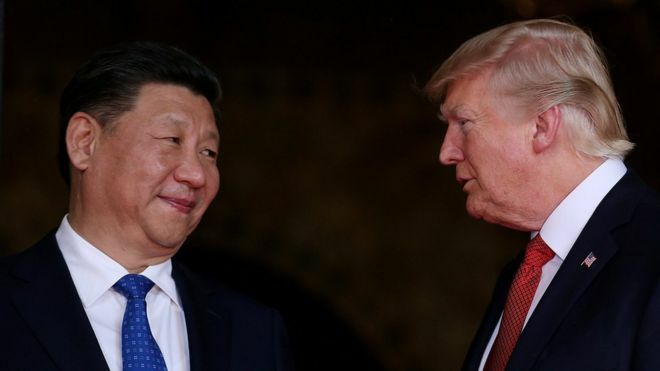 On December 1, the same day as President Trump and President Xi sat down at the G20 over grilled sirloin and caramel pancakes, to work on easing the trade war, Ms Meng was arrested in Canada and is now facing extradition to the US. Although it's still not clear what the charges against her are - we know that the US has been investigating Huawei for possible violations of US sanctions on Iran - this is not simply a case about the arrest of one woman, or just one company. SCHLOSS ELMAU, GERMANY – Hungarian Prime Minister Viktor Orban recently shared some history with a friend, explaining why he reached out to China's then-Premier Wen Jiabao in 2011, seeking urgent financial support and providing Beijing one of several European inroads in the wake of the 2008 financial crisis. Orban's reason was a simple one: survival. Facing a potential debt crisis and unwilling to accept austere loan conditions from Western institutions, Beijing offered a lifeline. For his part, Orban convened some Central European leaders with Beijing, and they laid the groundwork for the "16-plus-one" initiative based in Budapest that since then has provided China unprecedented regional influence. It didn't take long for China's investment to bear fruit. In March 2017, Hungary took the rare step to break European Union consensus on human rights violations, refusing to sign a joint letter denouncing the alleged torture of detailed lawyers. In July of the same year, Hungary joined Greece – another distressed European target of Chinese largesse – in blocking reference to Beijing in a Brussels statement on the illegality of Chinese claims in the South China Sea. China's Belt and Road Initiative is one of the biggest geoeconomic developments of the 21st century. On that point, there is agreement. On the question of Beijing's strategic motives, speculation abounds. China's economic rise has come within American-dominated institutions and markets. Chinese President Xi Jinping wants to break out of this system. Since the 15th century, the West has ruled the waves and thus dominated the globe. The Belt and Road Initiative is China's attempt to access to the oceans by building roads and harbors across Central and South Asia. In the latest policy report in DIIS’s Defence and Security Studies series, Lars Erslev Andersen and Yang Jiang discuss the potential of China’s approach to stabilising security conditions in Pakistan and Afghanistan through development. The report explores China’s westward policy by analysing the opportunities and obstacles related to its flagship Belt and Road Initiative (BRI) in South Asia, in particular the China–Pakistan Economic Corridor (CPEC). One aspect of the philosophy behind the CPEC is that lifting people out of poverty by providing them with better opportunities for jobs and incomes and hence improved living conditions will reduce the attractions of violent extremism and the inclination to indulge in it, thereby enhancing stability. This so-called Root Cause model draws on China’s experience of successfully lifting more than 600 million of its own citizens out of poverty due to the reform policy that has changed China rapidly over the past forty years, especially in the big cities in eastern China. The two Koreas are gradually reducing defenses along the Demilitarized Zone and exploring possibilities for major cross-border infrastructure projects. To cement their fragile detente and lay the groundwork for potential reunification in the distant future, North Korea and South Korea are gradually reducing defenses along the Demilitarized Zone and exploring possibilities for major cross-border infrastructure projects. 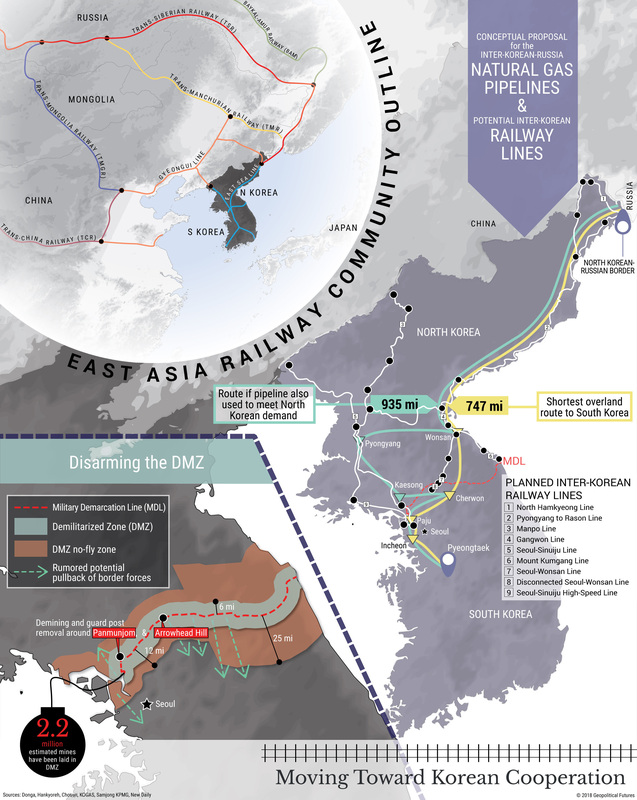 This graphic maps out the early stages of this effort – and how these initiatives could deepen South Korea’s economic integration with outside players like Russia and China. Can a two-day conference solve the world's migration issues? The UN is urging member nations to reach an agreement in Morocco on a framework for global migration issues. Marrakech, Morocco - There were 258 million international migrants in the world last year, increasing almost 50 percent since 2000, according to the United Nations. 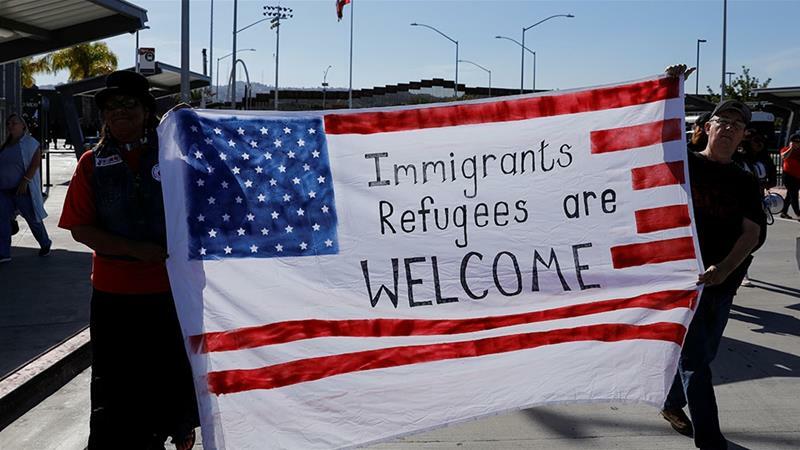 If all of the world's international migrants lived in a single country, it would be the world's fifth largest population, according to a Pew Research Center report. The number of migrants, representing 3.4 percent of the world's population, is increasing faster than the global population, driven by economic prosperity, inequality, violence, conflict and climate change. But the migration isn't always safe, either during transit or once the country of destination is reached. When Samuel Huntington died on Christmas Eve ten years ago, at the age of eighty-one, his reputation was mixed. He was a giant in his field of political science and practically an institution unto himself at Harvard University, where he had taught for more than four decades—nearly six, in fact, but for a few years at Columbia University and serving in the Carter administration. Yet some of his peers thought he had veered onto dangerous terrain with his last major works, The Clash of Civilizations and Who Are We?, two books on the place of Western and American identity in a world of rival, incommensurable cultures. Whatever vogue Huntington had acquired shortly after the 9/11 attacks for his seeming prescience about the inter-civilizational character of wars in the twenty-first century had dissipated by 2008. And with Huntington on the side of restricting immigration into the U.S. and calling in Who Are We? for the assimilation of newcomers into the dominant—by default “Anglo”—American culture, he had become, as far as liberals were concerned, an outright reactionary. In Depth Q&A with Rear Admiral Collin P. Green, U.S. Navy. Regional Threat Overview: Latin America and the Caribbean. Measuring Indirect Effects Over Time. SOTF-77: A Model for Component Support to Combatant Commands. Integrated Campaigning: Countering Threat Networks in Latin America. Optimization of the Information and Influence Competencies. The Last Line of Defense: Latin America: Beyond Counter-Drug and Counter Transnational Organized Crime. How SOCSOUTH Enablers Live by the 5th SOF Truth. A Team Effort: Rapid Response and Proactive Theater Response in the Caribbean. The People Business: Leveraging Interagency and Partner Nation Relationships to Shape Narratives in the Information Environment. Changing Culture: Operational Adjustments to Match the Operating Environment. Off the Range, Into the Jungle: Optimizing Special Forces in a Combined Operation. The NCSC said in a statement that it was “committed to the security of UK networks, and we have a regular dialogue with Huawei about the criteria expected of their products”. Mobile internet connections on 4G networks are quicker than the internet connections that many people have at home. What used to be unthinkable in the early days of the mobile internet is now reality. Streaming HD video or downloading music, apps and games on the go without a wi-fi connection is no problem on today's wireless networks. According to Ericsson's latest Mobility Report, there will be 3.4 billion 4G (LTE) smartphone subscriptions worldwide by the end of this year. The next revolution in wireless connections is already on the horizon though: 5G. “5G mobility service will provide massive bandwidth, greater opportunities for connectivity and improved network reliability. When fully implemented, it will offer capacity and download speed many times faster than today’s 4G LTE network." 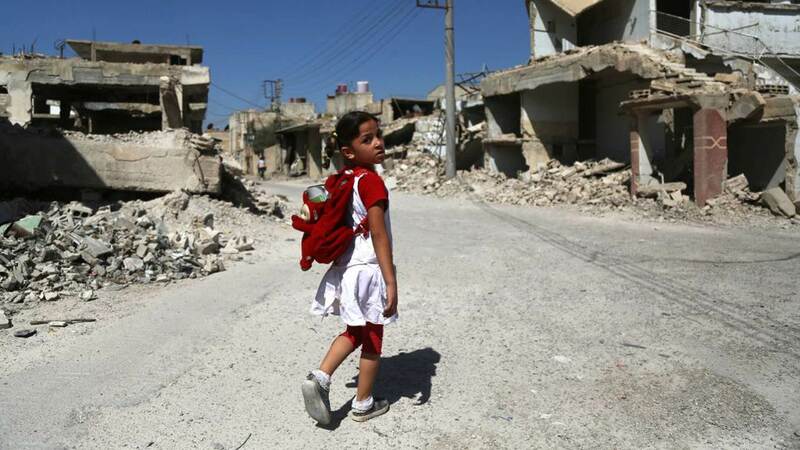 “It is hard to measure if deterrence is working or failing,” said Jason Healey, a former Bush administration White House official and senior research scholar at Columbia University. Days before the midterm elections, one of the Pentagon’s top cyber official was asked if there was any metric that could be used to judge the success of the Trump administration’s new cyber policy, one which promises more aggressive offensive operations. Burke Wilson, the deputy assistant secretary of defense for cyber, policy pointed to election security efforts the Department of Defense had ongoing at the time. “We will conduct an after-action review on all of the operations that we are conducting,” he told reporters Oct. 30.